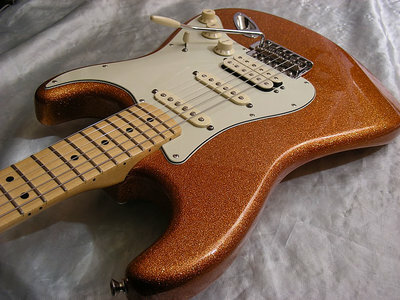 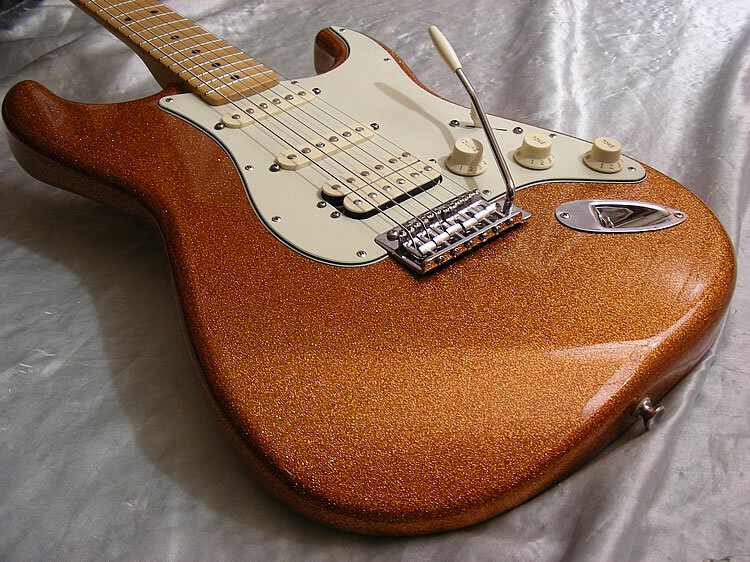 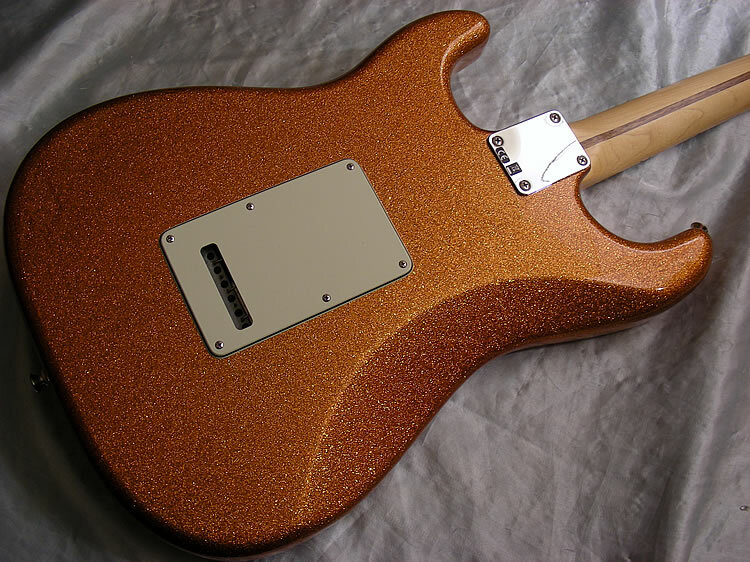 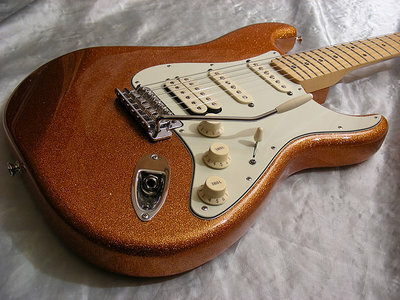 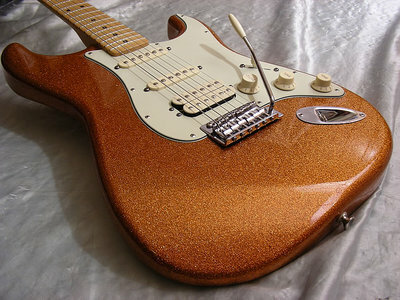 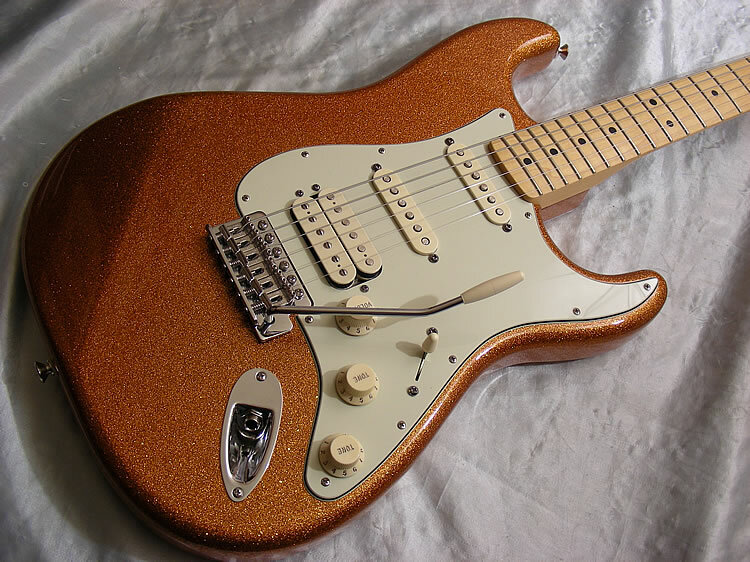 One of our best selling Strats in a cool new flake finish!! 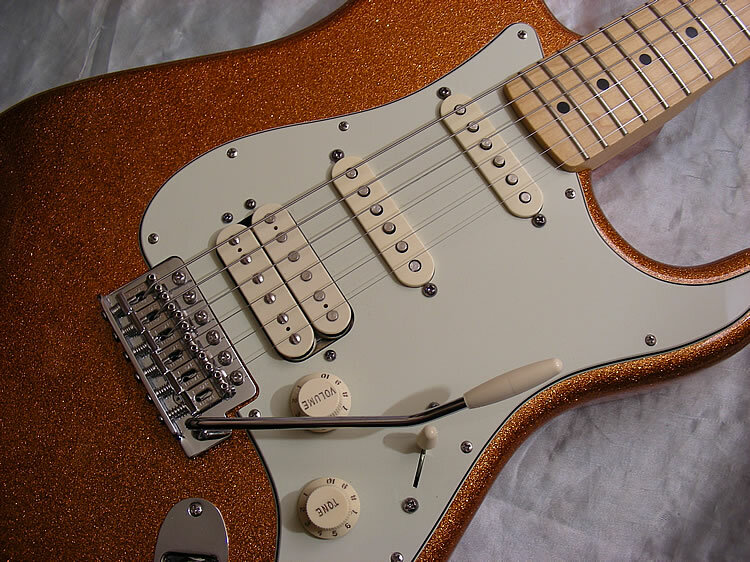 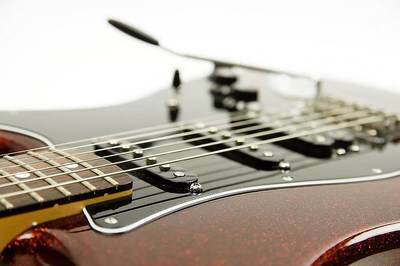 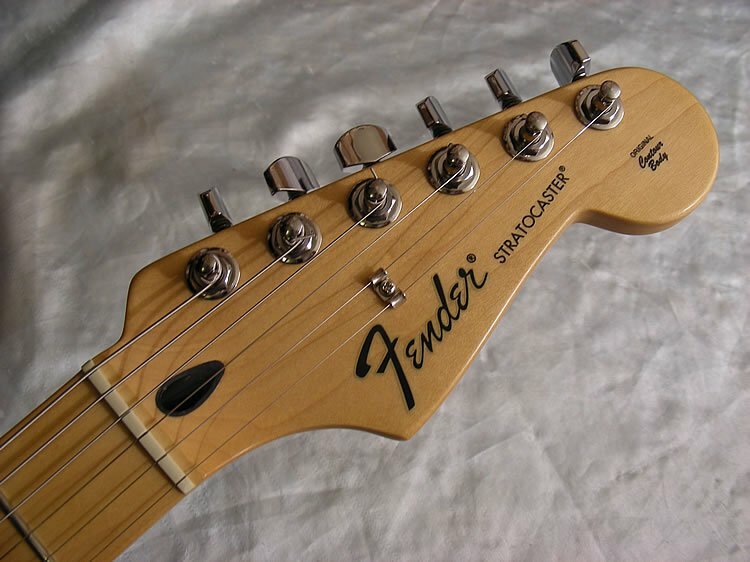 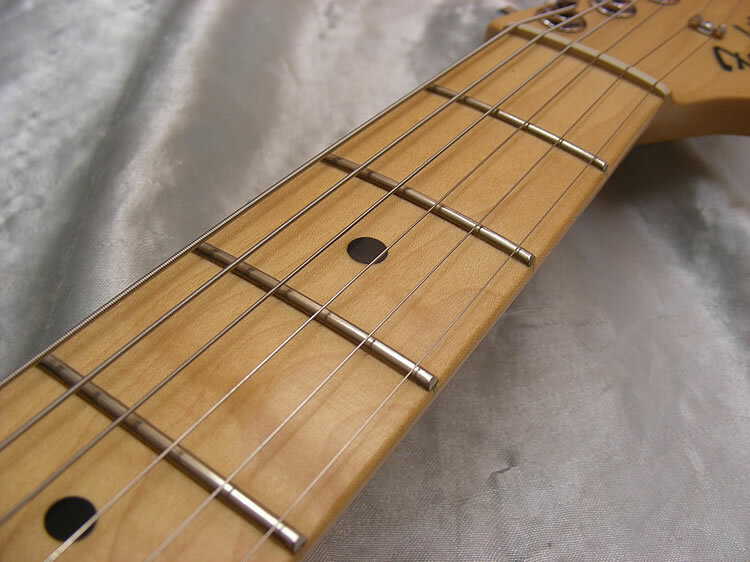 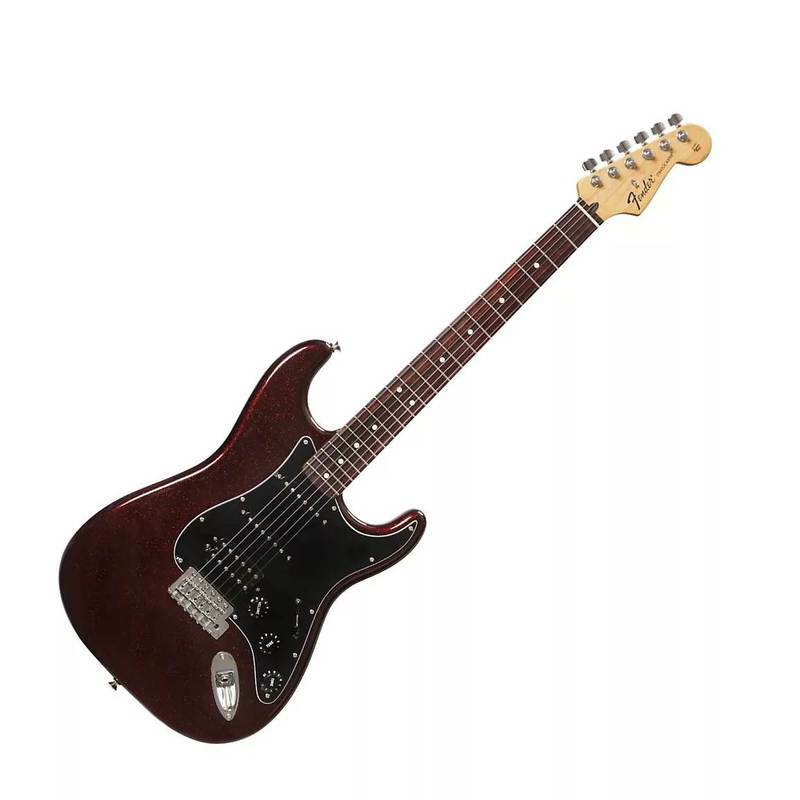 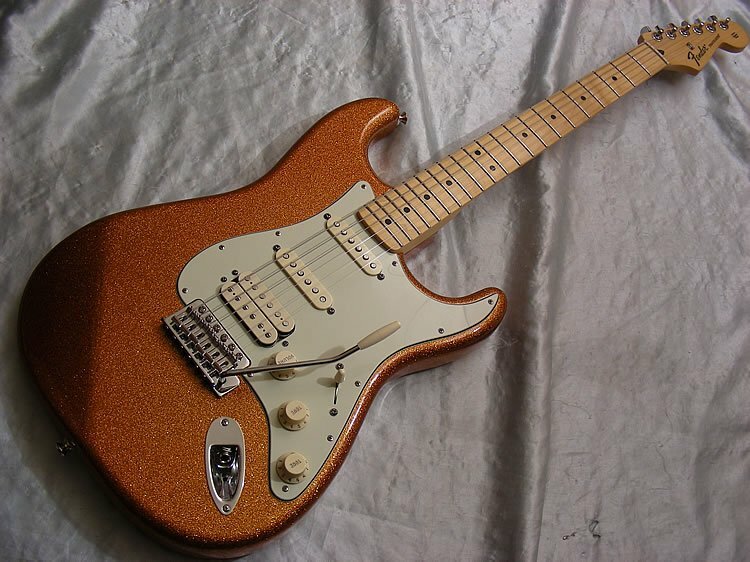 The Standard Stratocaster HSS offers legendary Fender tone combined with classic styling that includes a one humbucking/two single coil pickup configuration, a synchronized tremolo with high-mass bridge block, shielded body cavities, and medium jumbo frets. 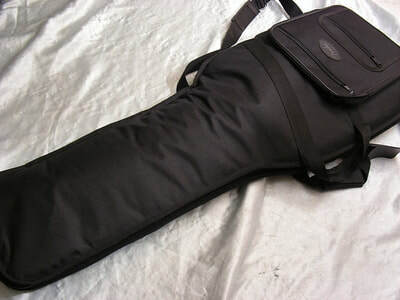 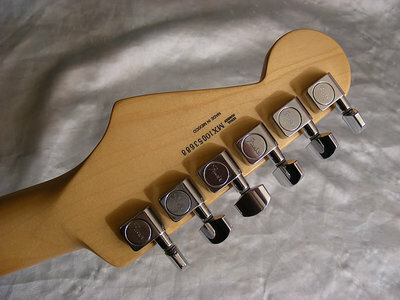 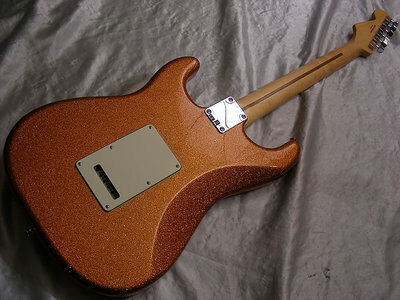 Features include a tinted neck and a '70s-style logo.